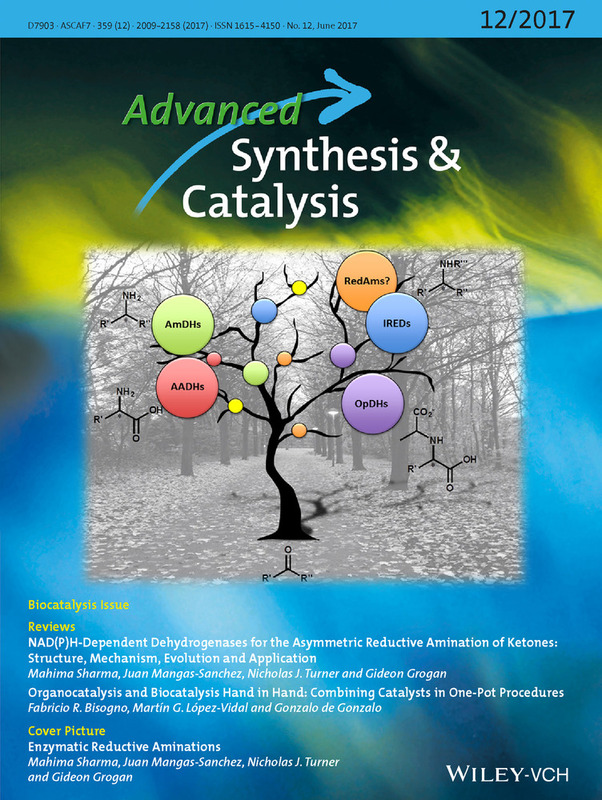 Toluene Dioxygenase (TDO) enzymatic complex has been widely used as a biocatalyst for the regio‐ and enantioselective preparation of cis‐cyclohexadienediols, which are very important starting materials for organic synthesis. However, the lack of regio‐ and stereodiversity of the dioxygenation process by TDO and related dioxygenases constitutes a clear drawback when planning the use of these diols in synthetic schemes. In this work, we developed three TDO mutants in residues phenylalanine 366, threonine 365 and isoleucine 324, with the aim to alter the chemo‐, regio‐ and stereoselectivity of the biotransformation of arenes. While no changes in the regioselectivity of the process were observed, dramatic variations in the chemo‐ and enantioselectivity were found for mutants I324F, T365N and F366 V in a substrate‐dependent manner. Vila, María Agustina, “Site-Directed Mutagenesis Studies on the Toluene Dioxygenase Enzymatic System : |b Role of Phenylalanine 366, Threonine 365 and Isoleucine 324 in the Chemo-, Regio-, and Stereoselectivity,” RIQUIM - Repositorio Institucional de la Facultad de Química - UdelaR, accessed April 20, 2019, http://riquim.fq.edu.uy/items/show/4912.